OWNER WILL FINANCE! 1.69 acres w/ fully fenced yard around both parcels. (2) ea. septic systems are 1,250 gal tanks, 2 HEA meters-1 on building other on vacant lot. Has large FINISHED BASEMENT. 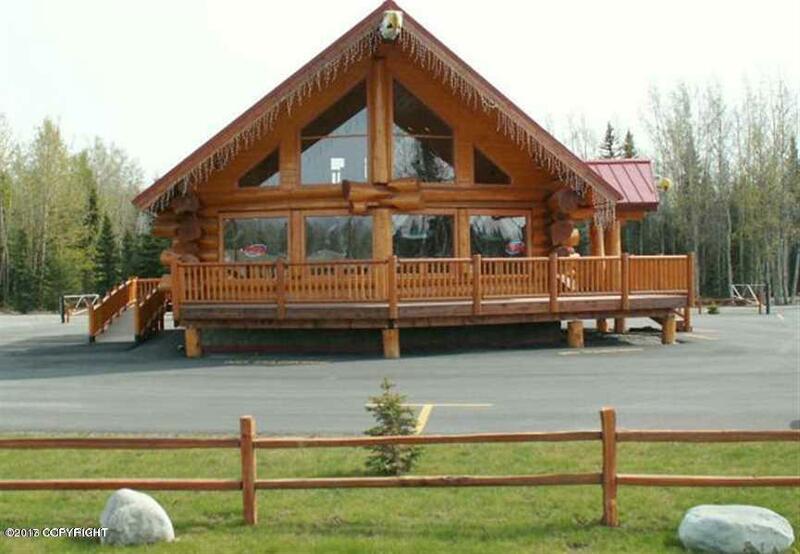 This is one of the most beautiful and well constructed large diameter log structures on the Kenai Peninsula. Almost a 1/2 acre of asphalt paving. Could easily be a single family residential home.